The Page Park clock tower building restoration project has received a £50,000 funding boost thanks to a grant from SITA Trust. The grant was made possible through the Landfill Communities Fund and will enable major structural repairs to the clock tower, along with painting and decoration, and improvements to the park’s plants and paving around the building. The restoration of the clock tower is the centrepiece of a wider project to regenerate Page Park and increase community use. 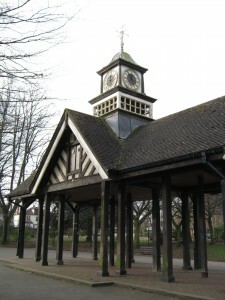 It has been a long standing aspiration of the Friends of Page Park group to restore the clock tower building, which is the most iconic building in Page Park and one of the most recognisable in Staple Hill itself. SITA Trust distributes funds contributed by the recycling and resource management company SITA UK. The restoration work is expected to begin in Spring 2016.